Okay, let’s talk kitchens. I adore mine…most of the time. I mean, compared to what it used to look like, it’s a dream. 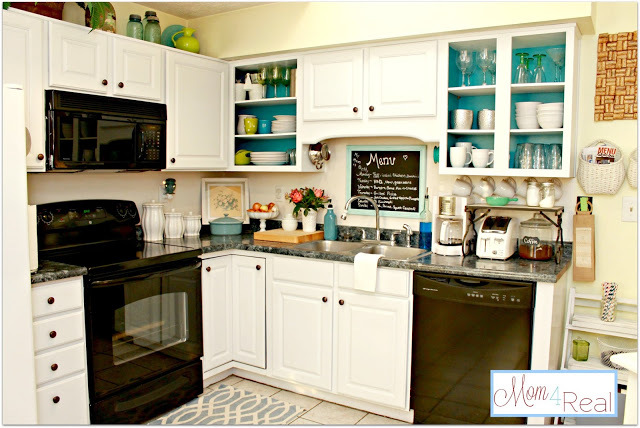 I love the newly painted white cabinets and the aqua open cabinets…they just scream me! I am usually all about being happy with what you have, and working with that, but we all have dream kitchens, right? My dream kitchen does not include black appliances, and my dream kitchen is huge with a big island in the middle where my family can gather and chit chat about our days. Today…well, let’s just daydream for a second or two. Let’s just pretend that Matt came home with the winning lottery ticket and I get to choose whichever kitchen I like…. Oh, a girl can dream. 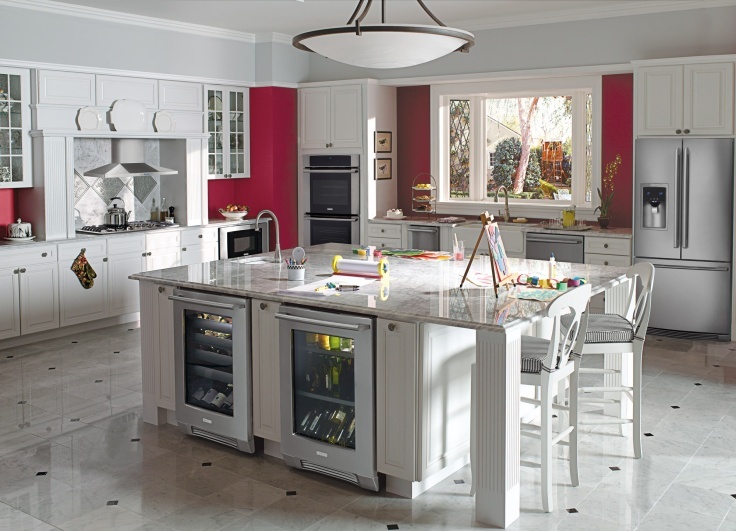 By using the Electrolux “Suite Design” approach to design your kitchen, you can be on your way to kitchen heaven. The key to creating a stylish yet functional kitchen is embracing the art of “Suite Design,” selecting beautiful appliances that complement one another – like the Electrolux matching suites of appliances, which are sleek, stylish and ingeniously designed to enable professional results. 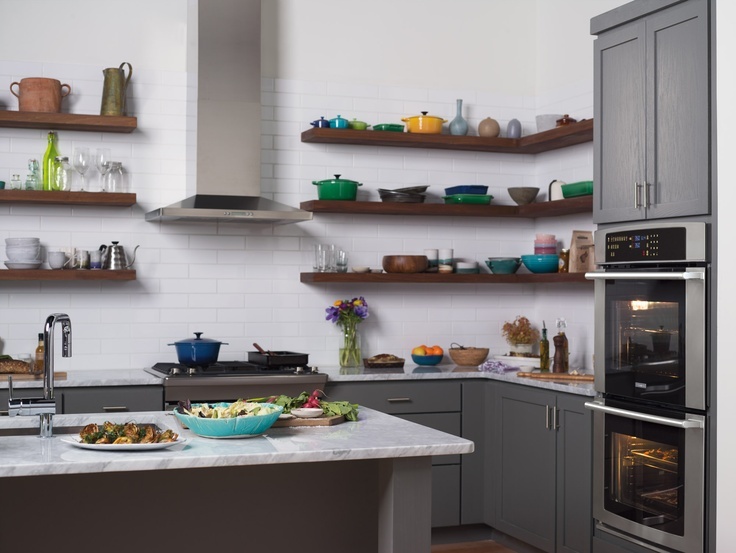 I believe I would start with a dishwasher…Electrolux Dishwashers feature adjustable, customizable racks that can fit more than 180 items in a single load. Now that sounds like a mother’s dream come true! I adore the last one as well…so open and cool! But, I kinda love yours as well. And you’ve worked hard for that great kitchen of yours! I bought Electrolux appliances in 2006. The dishwasher, stove and fridge has all had to be repaired. The dishwasher after 5 repairs, we finally got rid of. Just look up error 11 and error 3 on the Internet. There should be a class action suit. I would not EVER buy another Electrolux anything. Not even a straw broom. They are designed for a woman to fall in love with. The functionality and layout is amazing. The engineering is terrible. The reliability is nonexistent.